Award Winning Ski Holidays from Ireland's No.1 Ski Tour Operator. — With our team of ski holiday experts, your family is in safe hands. 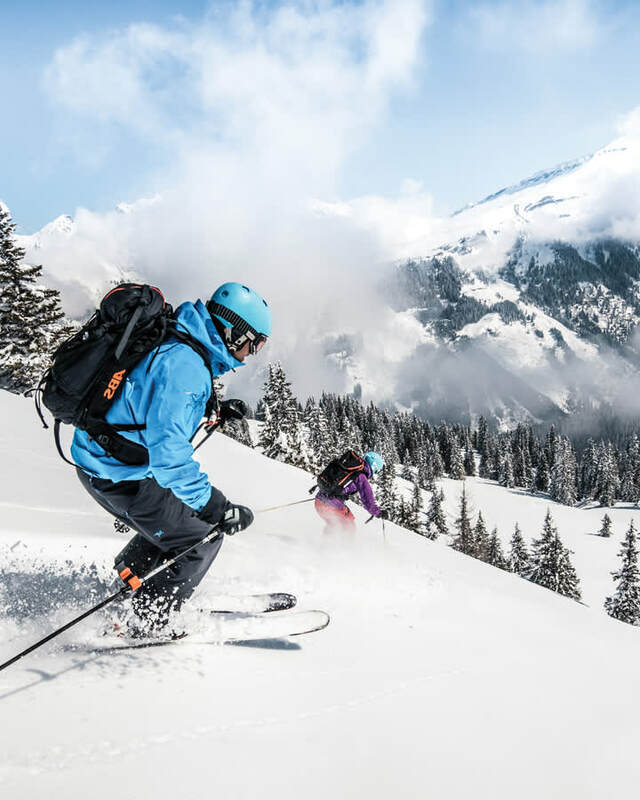 Most parents know that sometimes it’s a challenge to get their kids to get outside, be active and spend some quality time together, which is why ski holidays are the perfect antidote. Enjoy making magical, unforgettable, snow-covered memories that will be treasured forever, taking in stunning surroundings and fresh air and basking in the fact that, even for just a little while, ski time beats screen time! Fiona and Connor were absolutely amazing reps. Made our ski holiday go by without fault and would highly praise them! — Our luxury ski holiday programme truly takes luxury to greater heights. Luxury needn’t be reserved for summer getaways. Quite the contrary! There are few things as magical as spending a day on the snow-covered mountains, working up an appetite for a first class meal, or following some strenuous activity with an indulgent massage and of course cosying up in the evenings in a stylish, opulent bedroom where you can truly relax and unwind. — what makes a good ski holiday great is the people you share it with. 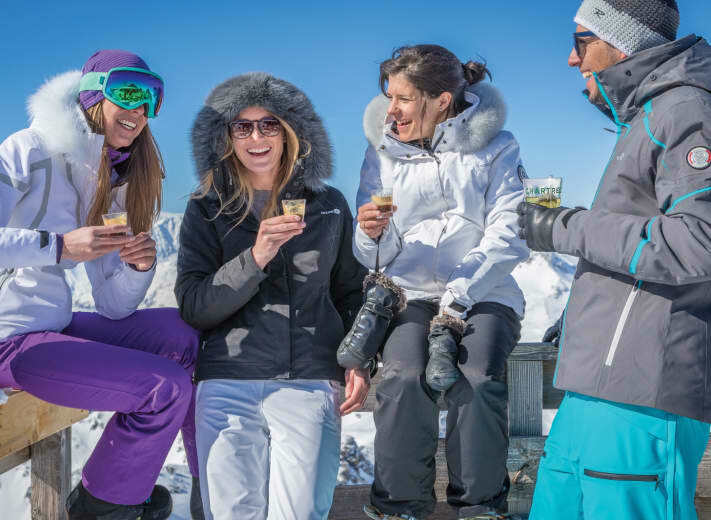 When it comes to ski holidays, there’s something about going in a group that just works. Taking on the challenge of a new slope together, competing to try the next difficult run or simply the support of having someone to laugh with when you don’t quite manage to stop as gracefully as you’d hoped. And of course there’s the aprés-ski! Whether you want Schnapps and fun in a cosy mountain hut or full-on dancing on the tables to the small hours, one thing’s for sure, whatever way you choose to spend your evenings, it’s better together! Thoroughly enjoyed this trip. The 4 Topflight reps that we met were extremely efficient and passionate about the country. We were still learning about the area and culture on the way to the airport! They are brilliant. Thanks to its glorious scenery, friendly service and reasonable prices, Austria has long been Ireland’s top ski destination. Thankfully, it hasn’t taken its popularity lightly or opted to rest on its lederhosen. Austrian resorts are enjoying massive investment with new state-of-the-art cable cars, improved connections between ski areas, rejuvenated resort centres and fantastic snowmaking systems to ensure great conditions throughout the season. France offers the largest network and variety of ski resorts in the world and many of our featured French destinations have upgraded accommodation and facilities to ensure a magical winter holiday. 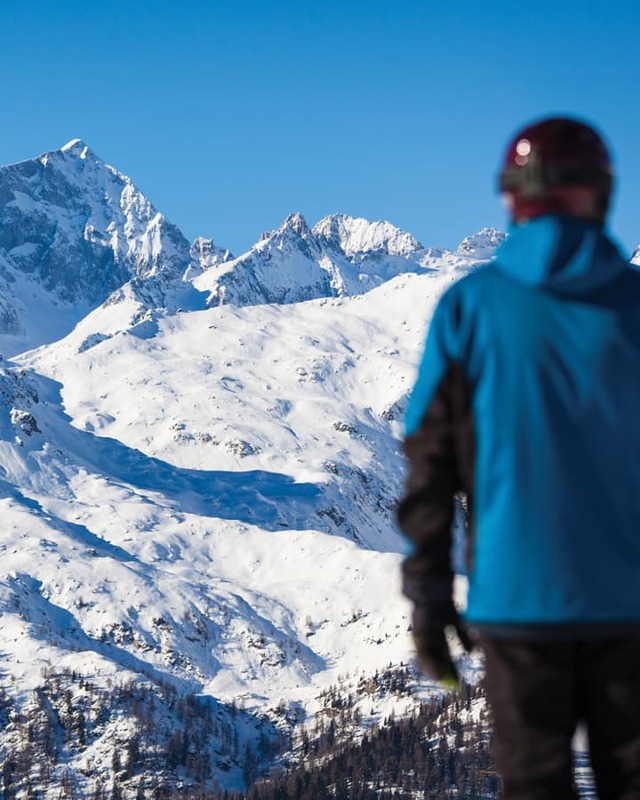 New lift infrastructure in Val d’Isére, improved accommodation and aprés-ski options in Val Thorens, innovative activities in Tignes and ‘Famille Plus’ ratings for family-friendly service, means that our French resorts have more to offer than ever before. Set high in the Pyrenees between France and Spain, with a strong snow record, this tiny principality has invested hugely in upgrading lift systems, terrain, snow making and activities. 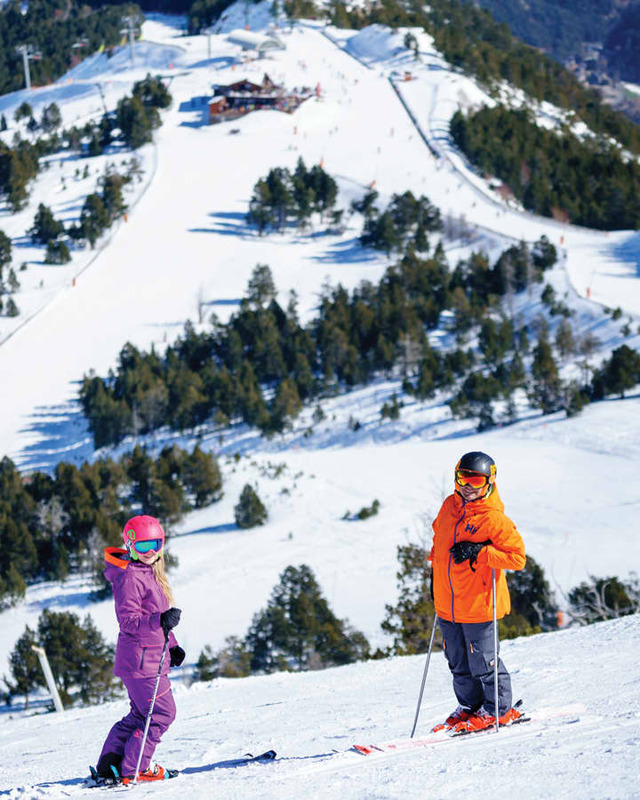 Andorra’s slopes offer a wide variety of options for beginners, intermediates and advanced skiers and whether you’re planning a family holiday, looking to party hard or fancy a ski, spa and shopping break, we can’t think of a better destination for ticking all the boxes. 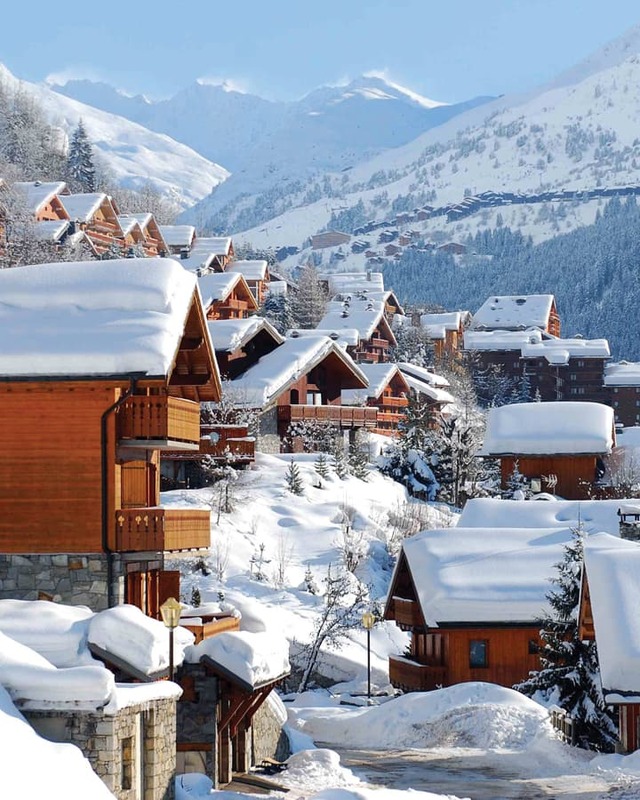 Never mind La Dolce Vita, Italian resorts enjoy some of the best snow in the world. Now, take all that fresh powder, mix it with style, culture, gastronomy and affordable prices and you have one of our favourite ski destinations in the world. Italy has gained a reputation in recent years as a good value destination. When you consider that it also has some of the most truly stunning scenery in the Alps, it represents even better value for money. Topflight provides the reassurance of knowing that your Resort Manager is on hand for the duration of your ski holiday, ensuring that you get the very best out of your stay. With a huge spectrum of experience, as well as invaluable knowledge of the area, your Resort Manager will be happy to help in any way they can. 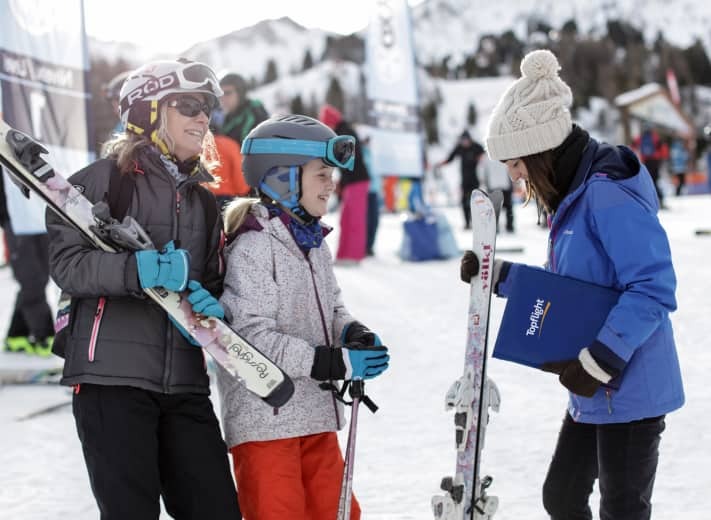 Particularly appreciated by beginners and first time skiers, our Resort Managers will answer any questions that you have and be sure to put you at ease. The​ perfect start to the perfect holiday. We know that the airport check-in can be a stressful part of your holidays and we know how important it is to get it right. 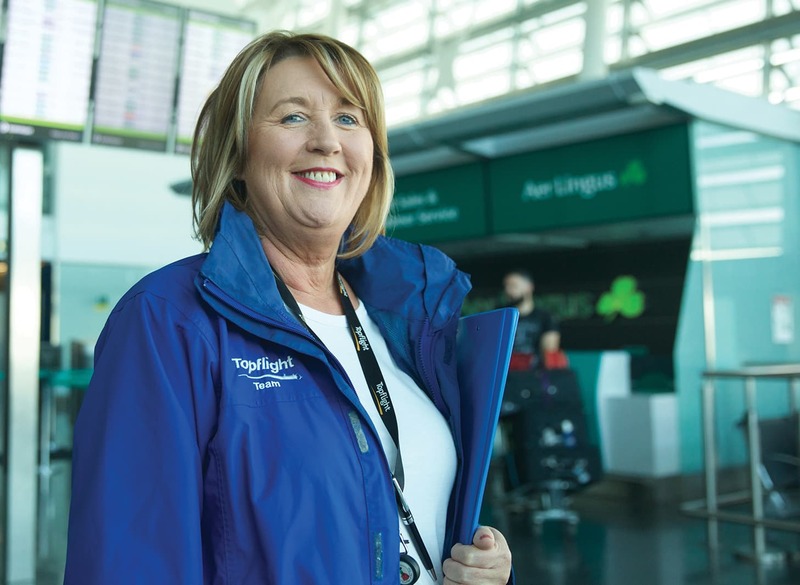 That's why our fantastic reps, Siobhan and Janet in Dublin Airport, Isabel in Belfast, and Liz and Mercy in Cork are on hand to assist our client in anyway they can and help get your Topflight holiday off to the perfect start. served up with a smile. We take pride in ensuring that our customers are satisfied and we know that at the heart of every great holiday experience are great people. 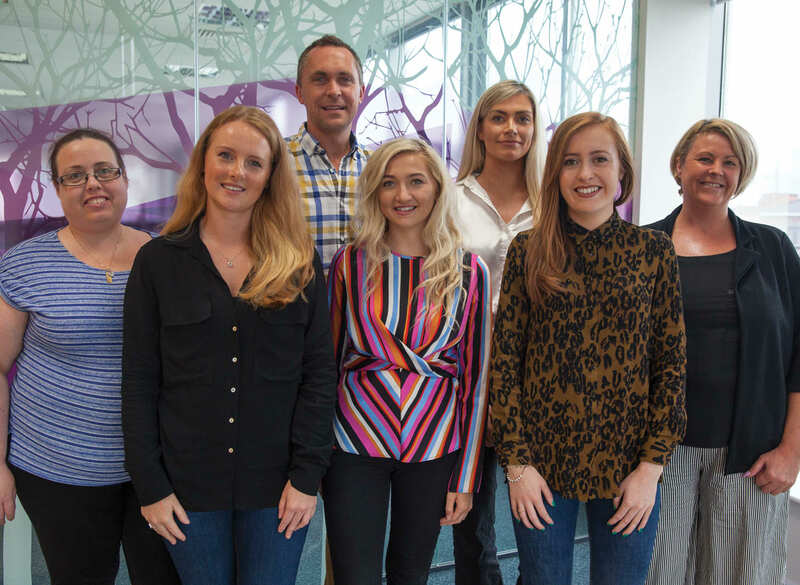 From the time you first call our sales team, to your airport check in and right through to your resort, you’ll be met by some wonderful people with a passion for delivering the perfect holiday experience to our clients. Staff in the Topflight office were exceptional. I dealt with Melissa and nothing was a problem.